One of the problems in assessing scientific theories beyond ones own area of expertise is identifying their hidden assumptions and any ideological biases in their application. This is especially true when they seem to have religious implications. For example, to the biological layman, the claim that evolutionary theory removes the need for God seems plausible and encourages religious doubt, rather than, as it ought, provoking a reaction against unwarranted metaphysical presuppositions dressed up as science. Likewise, the philosophical confusion of certain cosmologists about what constitutes “nothing”, and hence the claim that the Universe could create itself, is hidden within the complexity of the physics and maths that obfuscate what is actually just metaphysically inept. Likewise quantum mechanics is so complex and counterintuitive that it’s easy to forget that some of the weirdness might actually arise from the metaphysical presuppositions of those presenting the theory to the public and each other. In particular, just as in the case of evolution, the “necessity” for a “scientific” explanation to exclude the God of classical theology might actually make things more esoteric, and not less. Let me exemplify this in as homely terms as I can, consistent with my own limited understanding. Our thoughts, ideas, and feelings are obviously part of a greater whole. But I am not sure they are mere emanations of a deeper reality. Our thoughts and feelings may generate causal inputs, something that classical mechanics denies. Amongst the weirdest phenomena in the quantum world are the predictions, and experimental confirmations, of Bell’s theorem. Pairs of quantum-entangled particles, sent to distant laboratories, are found to collapse apparently simultaneously, according to the decision of the experimenter in one of the labs of what to observe. This raises strange questions about the power of mind, about simulaneity in an Einsteinian universe, and so on. But stranger still, ones entangled photon pair may be obtained from sources far away in the universe, “lensed” around opposite sides of a massive astronomical object. If so the same thing is observed – the wave-forms collapse simultaneously in the same way according to the observation decision of one of the experimenters. One conclusion is that the information input of the observer must travel back in time “down the light cone” to the original source of the two photons and determine the nature of their entanglement. 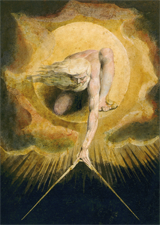 Now that last conclusion sounds bizarre in at least two ways: first that one lab experimenter’s choice of observation should determine events light years away and aeons ago, which is a distinctly supernatural sounding power, and secondly that backwards time travel should be possible at all. It implies the possibility that the whole reality we observe has to a greater or lesser extent been determined by our looking at its results, or maybe by our descendents observing quantum events happening now. Reality becomes very strange indeed, and completely anthropocentric. But few of the alternative explanations are any more intuitively plausible. The general idea that mind – meaning human mind – is central to reality is incredibly egocentric and grandiose. It’s wonderful enough that our minds can, as minds, encompass the whole universe conceptually. This was an insight of the ancient philosophers, and one of the arguments for the mind’s immateriality in Aristotle’s thought. It’s true that we only experience anything at all through our minds, and in that sense all the reality we can know is subjective (the positivist approach simply cannot survive that torpedo). But to go beyond that to say that our minds directly determine, rather than simply access, external reality is a strange and unproductive philosophy. Little better is the many-worlds interpretation of quantum theory, in which every possible outcome of quantum events exists in reality somewhere. Stapp apparently supports that view, but like most multiverse scenarios, it effectively abolishes any meaning or ultimate truth, especially in science. The last refuge of the sane is the hope of hidden variables – that despite appearances there are so-far hidden efficient causes leading to these observations, and to all the outcomes of quantum events. But Bell’s theorems appear to exclude all possibility of local hidden causes in the case of the separation experiments, and non-local hidden causes (ie operating across distances) still require unexplained faster-than-light travel and/or reverse travel through time. Finally, a minority of theorists believe in super-determinism, the idea being that whatever it is that determines how separated entangled particles will behave also determines how the observer will make his choice. This too destroys science by making the free-will of the scientist entirely illusory, including, of course, the mental processes that lead to his predetermined explanations. Apart from the affront to human dignity (Prometheus is scorned! Maybe no bad thing), this also leaves any kind of rational causal understanding completely lacking: just how would microscopic quantum events determine all the observable physical and psychological factors leading up to a particular experiment? To explain the observer’s choice, does not that single quantum event also have to explain why he took up quantum physics at all? At least the old Laplacian determinism makes rational sense from the predictable collision of particles. What happen though if, as Christians, instead of theorising from the phenomena, we try and apply our established theological principles to them? I mean the newly-named but time-honoured principles of Classic Providential Naturalism™. This, remember, is about the God whose Son was delivered up to evil men by wicked human decisions, freely made, which were nevertheless exactly what God had determined in eternity should happen. Remember also that on my preferred concurrentist view God is the initiator and sustainer of every event, including the free choices of men: he is the first efficient cause, working everything towards his final purpose (Ephesians 1.11) and also sustaining the whole process. And yet he works through each event from within according to its type (as Aquinas, for example, discusses at length). Lawlike processes he brings about lawfully through their genuine secondary causes, and human decisions he brings about as genuine human choices, and not by coercion. The motives of men may be evil, but God intends the events themselves for ultimate good, and in that sense the will of man co-operates with the pre-ordained purpose of God. Such a concept, as we have discussed before, is somewhat difficult to contemplate in detail, but it is attested throughout the Bible in hundreds of passages about God’s sovereignty combined with man’s own accountability. It was the majority position of Christian philosophers for perhaps 1600 years until libertarianism found fault with it on ethical grounds, and perhaps also because it seemed complex. I would argue that concurrentism makes the aspect of quantum theory above no more difficult to conceptualise than the Bible’s teaching on divine sovereignty over human affairs, at least in terms of “weirdness” – the maths and physics remain pretty tough. But one doesn’t have to think of a laboratory experiment as dictating cosmic events backwards in time, or of an infinite number of universes. God, then, in his ordaining of the whole unfolding of the universe, encompasses within his unfolding purpose all the classical physical events (and free human choices) leading Dr (Bob) Smith to choose to make his laboratory experiment on a tangled photon pair. He honours that choice, whilst including the event itself within his own purposes, and whilst respecting the quantum physical processes he set up at creation. Hence the observer’s decision is made, and corresponds to the waveform collapsing accordingly, whether across space or even through time. The quantum pair across the universe didn’t know Dr Smith would be in his lab that day thousands of years later – and neither did Dr Smith’s experiment inform it of the fact across time sand space. But God knew, and his concursus in the choice included the quantum events associated with it as well as the free human decision itself. Now I’m not presenting this, remember, as evidence for God, but as the outworking in the natural world of a classical theology, involving God’s providential care and genuine natural processes. As evidence the quantum experiments are no more pointers to God than they are to trans-light-speed communication, backwards time-travel, or the human mind’s determination of nature’s fundamental processes, though some of those explanations may make more sense than others. But as an orthodox theological understanding one mind, God’s, determines both the natural processes and the associated (but physically acausal) human choice to observe. And yet he preserves the genuine freedom of that choice in a way that Christian philosophers and theologians found satisfactory for more familiar events centuries ago. Ultimately it is the scientist’s choice to make the observation, but God’s to collapse the wave function in that particular way. It seems to me far more comprehensible for an intelligent divine agent to coordinate human and natural events, than for either to “cause” the other in inexplicable, not to say spooky, ways. All that needs to be given up in thus de-mystifying this aspect of quantum mechanics is the autonomous view of free will: the explanation above cannot apply if human choice is completely independent of God’s purposes. So contrast what I’ve said with the implications of the “free process” theology familiar to you from nondirected theistic evolution and “mere conservationism”. In this, as we are only too aware, God leaves creation – and especially human minds – free to go their own way. Human choices are fully autonomous and require that “I could have done something different”: the view known as known as libertarian free will (as distinguished from that known as theological compatibilism, which is in essence what I have decribed above). In this scenario, God has no role in the collapse of the quantum wave-form, since he leaves all secondary causes to themselves, apart from sustaining them in being. It is therefore entirely the result of Bob Smith’s decision to plug in his instruments that day and get his distant colleague Alice to switch on hers. Result: the decision he made was so free that it changed events in a distant galaxy somewhere back in the history of the universe, in a way that (being subject to quantum statistics) was ultimately indeterminate. He will be seen to have operated the largest roulette wheel in the universe. In fact, on this view we now have huge difficulty even understanding the results of our own decisions, which would seem detrimental to their being truly free and autonomous anyway. To me, God’s sovereign providence seems just so much more parsimonious as an explanation. But of course, being to do with God it can’t be scientific. Science has to do with infinite multiverses, universal mind, Boltmann brains and backwards time-travel, and not supernatural conjectures, even when backed by 2 millennia of philosophical discourse. Spooky action at a distance is science – the Creator isn’t. How spooky is that? Your idea is that “God, then, in his ordaining of the whole unfolding of the universe, encompasses within his unfolding purpose all the classical physical events (and free human choices) leading Dr (Bob) Smith to choose to make his laboratory experiment on a tangled photon pair. ” This is indeed a possible explanation of non-local quantum correlations. Though more within your CPN, it is on the same ‘level’ of speculation as the other naturalistic explanations you list. I think you see this. You realize that the basic ‘ordaining’ is not anything specifically to do with quantum mechanics? It is only concerning “classical physical events (and free human choices)” (as you explicitly say). And that this idea is very similar to a common model of so-called theistic evolution? Where it is said that God forsees all the complexity and probabilities in (chaotic?) natural selection, so he uses those unpredictable events to achieve the result (namely humans, et al) that he wants. What are the remaining queries here? The difference between ‘uses’ and ‘ordains’? Or something deeper? … it is on the same ‘level’ of speculation as the other naturalistic explanations you list. I think you see this. Quite so. My intention was simply to apply theistic presuppositions to the situation (specifically the “spooky action at a distance” situation) rather than any other, and maybe to suggest that doing so leads to less paradoxical conclusions than the alternatives – or at least the conclusions can be conceived as of a piece with Christian doctrine, being just another example of an everyday paradox. You realize that the basic ‘ordaining’ is not anything specifically to do with quantum mechanics? You’re aware, I’m sure, of the speculations of John Polkinghorne and Robert J Russell on God’s determination of quantum events? In their case it seems to me they’re aiming to find a loophole in the “materialist”, conservationist cosmos they affirm, in which God mustn’t interfere with the laws he set up, or be seen as cack-handed or, worse, coercive. Russell in particular argues that since science cannot determine the outcome of individual quantum events, God isn’t interfering if he determines them. I see that as grafting theology on to materialism – I think we’re both agreed that God doesn’t operate in legal loopholes but in everything? And that this idea is very similar to a common model of so-called theistic evolution? If I gave that impression I didn’t mean to. I had in mind more God’s determination of the events “in a distant galaxy long ago” and his wise coordination of that his concursive ordaining of Bob and Alice’s freely-chosen experiment here and now. That is, God’s providence is coherently involved in both natural and human events. I, like I think the majority of classical theists, don’t see God as forseseeing the unpredictable (an oxymoron, of course), but as seeing (within himself) what he himself intends to do. The biblical equivalent of that is prophecy, in which God’s foreseeing of the future (from our point of view) is from his viewpoint his own decree that these things shall come to pass. Of course, if one uses the word “unpredictable” in the human context, ie that for which we can determine no specific causes and that therefore we cannot foresee, then of course God acts through such things: for example, if he has set up a chaotic system like an orbiting asteroid to coincide with the earth’s orbit at a specific time, let’s say at the KT event, then the appropriate word is “ordains” rather than “uses”, because the asteroid’s creation, its governing laws, its initial conditions, and its sustaining are all his, as well as the efficacy of its efficient causation. The unpredictability is only our human inability to measure chaotic but determinist systems. I also say, though, unlike the TEs you mention, that God remains intimately involved in governing his world, especially in those events that are not lawlike. Theologically, that’s because he is necessarily both transcendent and imminent. The points at which such specific divine action takes place are, I would suggest, the places where new information/formal causation is required. That could be seen as ongoing creation, or in Aquinas’ terminology as “change”, since he would see it as action upon existing matter rather than creation ex nihilo. Personally I don’t see that as happening on rare occasions, such as the origin of life, but as his constant involvement with creation. What you are doing is finding a way around Bell’s theorem that “exclude[s] all possibility of local hidden causes in the case of the separation experiments”. The way you do this, is to have a new kind of non-local cause available, namely God. God would have to (for)see, when the two entangled photons were produced, whether Alice in the future would freely choose to measure up-down or left-right polarizations. Then, on the basis of that pre-vision, he would have to adjust the photon for Bob so that it was polarized in that same coordinate direction but with opposite sign. That is indeed a possible explanation. It does indeed not require “reverse travel through time”. But it requires something that has a similar effect: namely foresight over the same time scale. This explanation has the consequence that, after the production event, God is not allowed to act in any way that changes the direction Alice will choose for her measurement. Since he forsaw it, it must now be ‘fixed’ in some way. Even he prophesies to Alice which direction she will ‘freely’ choose, then she cannot use that information to change her mind. We might think that should be possible, but this is not possible under the kind of CPN you are developing. God would have to have already forseen that he was going to tell her, and to have already taken that into account. But now the telling her would not be what she *will* do, but what she *would have done* had he not told her. The logic of Providence in your CPN does get a little convoluted here. I wonder if there is not a better solution. I don’t see your last paragraph as a real problem, if “freedom” is no longer defined as “being able to do otherwise than you actually did,” but more along the lines that Augustine and his successors developed. And this encompasses GD’s point of the analogic nature of God’s dealings with us – we can picture how and why God acts, based on revelation rationally interpreted, but he will always be beyond us, his true nature hidden in the shekinah. Suffice it to say that in an eternalist view of God’s being, any concept of God’s having to go back and change his plans in the light of “new information” makes no sense, since he is the eternal source of all new information, including (ultimately) the choices we will make. All things are present to him now. Since you developed the prophecy comparison I introduced, a biblical example may show how what is convoluted from our viewpoint is all in a day’s work to God. Presumably, humanly speaking Paul could freely heed those warnings, fail the test (if it was one – we’re not told in as many words) and stymy God’s purposes for him, for the Church and for world evangelization. In some theological schemes that’s spoken of as God’s taking a big risk – but somehow the Bible never gives any examples of those risks coming unstuck and derailing God’s purposes. God is not presented as such risk taker in the Bible, but as the One who knows the end from the beginning, whose purposes will stand. Every human failure is represented as encompassed in his original will, even the “big one” of human sin being anticipated in “the Lamb slain from the foundation of the world”. Adam freely sinned – Christ was already designated to deal with it. So Paul freely chooses to ignore the warnings and pleadings (given by God’s own Spirit, remember), and God’s set purpose in getting him to Rome is achieved. Any attempt to resolve those two things is, I suggest, bound to be provisional and incomplete unless and until God reveals more of himself in the age to come. But the key, to me, is to understood God himself as working within the whole causation process (including Paul’s decision-making, and Bob’s and Alice’s), and not simply as anticipating and reacting to them. I’ll have to read your book to see how you interact with Aristotle and Aquinas, and thereby maybe get a better handle on your theological approach to quantum theory. Note that the book at http://www.generativescience.org/books/pnb/pnb.html is not yet about theology. It is just trying to form a realistic understanding of the world such that quantum mechanics could be true. Admittedly, it uses ideas implicitly suggested by theology, but that is another story. Yup Ian – I think I understood that from the blurb. It’s a worthwhile effort, anyway, in my view. As I think you perceive, not least in the points at which we disagree or have completely different things in mind, I’m less interested in the scientific conclusions that arrive (in which for the most part I have no vested professional interest), but the adoption of a Christian approach, rather than a materialist-disguised-as-neutral one. If all the world were Christian and following that approach, we’d still have plenty to argue about in the journals (and no doubt plenty of rancour of which to repent, since we cannot hold views without being passionately committed to them). God’s purpose? This purpose is the Salvation of Paul (and hopefully you, me, and many others, although I understand why He would put Paul ahead of the us). So how would you chain of causality fit in with this? I will leave this with a question since I enjoy your comment. I’ve no intention of trying to unpick God’s purposes in any set of events! Try this though: God ultimately has one overwhelmingly good purpose – the uniting of all things in Christ. Everything else that has ever happened in the world is subsumed to that Purpose, analogously to the way that if I want to pick up the phone, every individual nervous and muscle activity in my body is orientated towards that goal. God being God, though, where I keep just one goal in mind and use auto-pilot for everything else, God manages all things wisely and consciously. Jon, yes to one who believes – but what to one who does not? Out theology (from early Christians, to this day) is to understand how God knows and ordains all things, and yet humans are faced with choice. Calvin (in my humble opinion) may have had a problem with this. Nonetheless, I can accommodate his views with great ease and peace. You may be used by God to do good, even if your Calvin’s teachings show you (correctly) that you may be as notoriously evil as people such as I.
I do not wish to insert anything in your discussion with Ian; if I could make this post shorter I would, but I think a lot of information would be lost (I have italicised quotes but this was lost when posting). In noncommutative spaces, in general, there is no such possibility; one cannot distinguish the elements of such a collection from each other by means of a denumerable family of properties. These lengthy quotes illustrate the language needed when discussing this subject. Now what theistic meaning can we derive from such language? It is pointless creating scenarios which in themselves use language that relates to the classical world of sense and intuition. We must commence with attributes of God revealed to us within the Bible, and then conclude that as the Creator of the Universe, all that is knowable to us has been rendered to be so by God. When we include terms such as indeterminate, we cannot mean ‘unknowable’ as this contradicts our thesis of a knowable Universe. Can God know where an electron or photon may be? My answer is the question is misunderstood – I would state it as, “Has God created the world to include a reality that is accessible at a quantum level?” The answer is yes, since these matters are discussed by theoretical physicists. “And if we could learn from it something about God’s possible ways of acting in the world, it would reveal first of all the drastic difference between this type of causality and what we would traditionally qualify as causality. 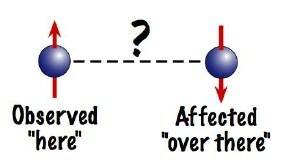 I think, however, that in spite of this difference, the former deserves the name “causality.” This terminological decision is justified by the fact that noncommutative causal structure (in the mathematical sense) is a legitimate generalization of the usual causal structure of space-time studied in general relativity. I by no means want to say that when speaking about God’s causality we must regard it as a sort of noncommutative causality; I want only to emphasize that we must treat the doctrine of the analogous or metaphoric character of theological language more seriously. GD and Jon: let me first make some preliminary remarks about Heller’s ideas. Heller wants to use mathematical formalisms to describe all of quantum mechanics. That is good, but he does not properly begin to interpret that formalism in terms of what exists. I think that a proper interpretation must begin with using ideas of potentiality, propensity and dispositions. These are ideas which date from Aristotle, and are still essential in physics even though physicists such as Heller are reluctant to acknowledge that fact. That is why am a sort of Aristotelian [though I disagree somewhat with Aquinas on how to move Aristotle forward – that is another discussion one day]. My general ideas on dispositions in classical and quantum physics are in my 1988 paper Real Dispositions in the Physical World. And, if you look further on that website, you will find online the book Jon mentioned: Philosophy of Nature and Quantum Reality that develops further the ideas of the paper and makes some proposals about what does in fact exist in nature. x values. There are never point particles in the quantum world, only wave packets that can be made arbitrarily small. Never zero size. Remove the trailing ” from those two html links! I would if I could edit. I am not in a position to give an opinion on QM in terms that Heller and you may discuss – the major point I am trying to make is on language and how we communicate knowledge, how we may consider the Universe as knowable, and the language we may use when we discuss theology (our belief in God). I have downloaded your paper and am going through it, but for now, in terms of causality and propensity, I can understand a general statement that “God, in the beginning…” but am unconvinced by (what I understand of Aristotle) by a notion of matter or substance that was given a beginning. Philosophically I am more comfortable with a beginning created by God as ‘all things pertaining to creation’, and this creativity has been sustained by the Word of God. This must by necessity include all phenomenal aspects available to human intellect, and all aspects that we normally attribute to time, space, energy and matter. In short, I am happy for physicists to discuss their maths and theory and will listen as long as I can follow the reasoning – I am more concerned with how we may consider causality as related to ‘how God does this or that’ – this needs to be in the language of theology, otherwise we will continue to produce novel theologies for ever and a day. I think that the desire to find out “what exists” in the world, and to find out the “substance” of things can still be satisfied, even on the basis of modern science and quantum physics. We just have to try harder to interpret the formalism produced by the mathematical physicists, with an eye to how the theory is related to actual and possible experiments. That is what I have been trying to do on my http://www.generativescience.org website. To understand how God does this or that, we need at the same time to understand the reality (or otherwise) of ‘this’ or ‘that’. These days it seems to be unfashionable to investigate the ‘substance’ of things. More often we talk of events and process and system and interactions. But ‘unfashionable’ does not mean impossible! If we can find a good idea of substance that still makes sense today, we should be glad. When Jon included “classical” as first in his CPN, with reference to Aquinas’s ideas from Aristotle, I believed that he had these guidelines in mind. I find ‘an evolving Schrodinger wave equation’ a difficult concept. Would QM modelling results be time dependent? What reality can we ascribe to the geometric data and also electron densities, energies and so on, for any molecule, if we contemplate a situation where we obtain a given molecular state as related to any possible interactions in a possible future. I am familiar with transition states and schemes by which we would describe chemical reactions with time, but these exercises always assume real entities, some of which are short lived and others stable as end products. In a broader context, imagining a world of constant activity presents difficulties in that we usually ascribe time to sections of such activity. I have formed the view that as human agents, we are confronted with a world of possibilities, and our intentional (or free human agency) actions, instantiates the actual world of the free agent for that given moment. This may replace the notion of ‘dispositional’ with one in which the world is presented to human agents with possibilities – the difference in this view would be the Universe may be considered as set to be what it is, but the introduction of human agency requires it to contain an excess of possibilities accessible to human free action. I will not extend this idea into a theological one for the time being. You’ll see my agreement with your analogical approach to God in my reply to Ian above. It is pointless creating scenarios which in themselves use language that relates to the classical world of sense and intuition. True – we have then two analogical situations, for just as God reveals his ways in homely “lisping” (Calvin’s term) words what we could not comprehend directly, so even quantum theory is only partially understood through the analogical terms of maths and the homely analogies of light cones, time travel and even “spooky action at a distance”. The analogies, it is true, are operating in two different spheres, religion and nature, but we believe God is responsible for both. Is there then absolutely no connection between them, so that we are returned to Gould’s NOMA? Or is there any possible crossover between the analogies, or some other set of analogies that might help unite the wordviews of science and faith? The point of the original post was that, if it’s legitimate for scientists to use speculative analogies (based on sci-fi and fantasy, mainly) with concrete sequelae for public consumption (such as time travel, teleportation, many-worlds multiverses, etc), is it not legitimate – or even advisable – for Christians to add possibilities based on their own theology? Should we, alternatively, repudiate all non-mathematical representations of counter-intuitive fields like quantum mechanics, which would place them outside the public domain altogether? Interesting point Jon – I sometimes regard myself as a ‘coward’ in that when confronted by the matter of language, science, philosophy, and all that accompanies these, I could ‘sidestep’ it by using poetry. In my defence, I claim that poetry is the means by which we get closest to what we humans understand, by talking to each other, – ie poetry is the community creating language. As a scientist, I continue to insist that knowledge is communicable ‘stuff’ – although some of it, like the maths referred to in my Heller reference (and I suspect what Ian uses to deal with his knowledge) may differ in some respect – but ultimately is must be communicable (albeit amongst an esoteric few). Nonetheless, you, Ian and myself do communicate – an important point to remember when discussing either science or theology. Patristic writing will show that the matter of language and limitations in human knowledge, when we discuss God, were uppermost in their thinking, and Calvin obviously understood this. However I do not think the exercise is pointless – Basil, for example, spend many pages discussing the opening phrase in the Bible – In the beginning …. Ian, Heller and other theoretical physicists are continuing the discussion, in todays language. I do not think that it is separation of spheres – rather I think few of us have opened the vault of Christian theology, so the tendency towards something novel. Re poetry – agreed, GD, even though I’m the world’s worst reader of poetry. It recahes the parts that formalised language cannot (so in that sense not good for technical, scientific and mathematical matters). But read an historical account of death statistics in World War I back to back with one of the better war poems, and see which is a clearer account of the war! We have to adapt our language as necessary! And, as Jon points out in many places, the new language is with us strongly influenced by the changes in us as we begin to comprehend the nature of God and how he is creating, sustaining (and redeeming!) the world. I subscribe to the view (an old one) that our image of God is deeply related to the rationality in our soul that is special gift to humans from God. And so it should be possible, by using what comes from God, that we can begin to understand the other things that come from God. And if that uses ideas which differ from the “language that relates to the classical world of sense and intuition”, then so be it. We will develop new language about sense and intuitions if we are asked. The language of theoretical physics is bringing us more (if I can say it like this) than mere maths – as such things are communicated from the specialist into the community, the difficulties Jon has pointed out will increase, but greater insights will also percolate through public discourse. My particular interest in ‘how we speak about God’ includes ‘the image of God’ doctrine. I have been particularly interested in examining language when we consider revelation, and am drawn to the view that we need singular terms when we speak of God – this fits in with your remark; ‘a gift from God’. Off topic but on theme. I think Calvin actually had a good handle on the implications of the Bible’s teaching (which was, of course his pricipal source), and came independently to a position pretty close to Catholicism’s Aquinas, though the Council of Trent makes it clear they never really got to grips with the angelic doctor. One of Calvin’s problems is his readers, who often come to him as people come to any “notorious” writer (or even the Bible itself), knowing in advance what he says and that they disagree with it. He himself, writing as a humanist and opposing humanist view of free will, tends to slip into the language of polarisation between freedom and divine sovereignty. The nuances are there, but it’s easy to miss them, and he occasionally seems to himself. In this perspective, neither can predestination find any reason on the part of the creature but only on the part of God. For there are two effects of predestination, grace and glory. Within the realm of what is willed [by God], grace can be identified as a reason for the effects which are oriented towards glory. For example, God crowned Peter because he fought well, and he did this because he was strengthened in grace. But no reason for the grace, as a primary effect, can be found on the part of man himself which would also be the reason for predestination. This would be to assert that the source of good works was in man by himself and not by grace. Such was the heretical teaching of the Pelagians who held that the source of good works exists within ourselves. Thus it is evident that the reason for predestination is the will of God alone, on account of which the Apostle says according to the purpose of his will. Ephesians 3: 12 In whom we have boldness and access with confidence by the faith of him. 13 Wherefore I desire that ye faint not at my tribulations for you, which is your glory. I make this comment – God is glory itself and we cannot add to an infinite attribute – yet the apostle speaks of ‘your glory’, be this Peter or all of the saints. So how do we ‘rationalise’ this aspect of the faith? If grace is only oriented towards glory, and we cannot possibly add to infinite glory that is God, than what is Paul discussing. I am not trying to be clever with this, but if we think about it, the question of the quantum world, human knowledge, and what we do with this, eventually come back to questions of grace and glory – to make this statement brief, the only aspect that goes beyond the infinite, and encompasses the glory due to Peter, Paul, and the saints, in within the Holy Spirit, which is often discussed within the English language using the ambiguous term love, but is in fact the fruit of the Holy Spirit personified (not as an a response between carnal human beings) as Agape (0ften used as a proper name). Thanks pngarrison. I don’t think the article gives me a better understanding of things, but it could stilkl be right – a more truthful view doesn’t have to be easier to comprehend, and we’ve all inhabited an “objectivist” wordlview for a long time. But this is not the only view of quantum physics that stresses the central role of mind, and it also ties in with my current reading of Polanyi, approaching science from a different angle, but also concluding that all scientific knowledge is personal, rather than some kind of privileged access to objective reality. The trend from many angles seems to be that mind (like information) is showing itself to be a fundamental aspect of reality, and not simply a filter or barrier to it. That really doesn’t fit with materialism – though fitting it with theism is a challenge too. Ian has, I know, been working on such things – I note in the article that aspersions on the standard relativistic conception of block time, and Ian too rejects this, I believe. I’d be interested to hear how his approach interacts with QB (in lisping words for the simple, ideally)! QBism is an attempt to make physics not about objective reality, but about the probabilities of our different experiences. It realizes that mathematical physics does not actually describe reality (that physics has no idea for example about ‘substance’, as I have often noted), so it instead takes an instrumentalist rather than a realist view of science. And, by confining itself to this limited objective, it does rather well. One reason it does well is that ‘experiences’ are now treated as ‘classical objects’ that (we find afterwards) definitely occur or not occur. That fact gives it a distinct edge over the many-worlds and many-minds and many-universe interpretations where experiences are multiplied among all the ‘many’s. I cannot really say, however, that it brings the ‘experimenter into the picture’. It only describes the probabilities for experiences of experimenters. That is a start, I admit, but we (here!) know that there is much more to persons than representations of the experiences. Rationality and love and desire and intentions and intentionality and qualia (etc. etc.) are still nowhere described! I read the article again, and listened to the linked audio, and ended up wondering if QB said anything coherent at all about reality, or denied that we could actually access it. Your explanation leads me closer towards the view that if I could understand it, I’d disagree with it! Incidentally, as an aside on the QBism article, the author states that the idea of the human agent in science has been wrongly lost in science (with which I agree), and dates it back to the Greeks. The Greek connection may be true, but I think only the Enlightenment brought it to a head. I was struck in reading Cassirer on the Renaissance philosophers, using Leonardo da Vinci as an example, that there was a prominent tendency to necessitate combining the objective and mathematical with the artistic and imaginative: that was all of a piece (rightly or wrongly) with the centrality of man. Maybe it was the Enlightenment’s making of pure reason the centre that set the mindest for modern science. Of course, I’ve been mentioning Polanyi’s challenge to that back in the fifties, and modern philosophy of science has built on his stress on the human mind in science – but Mermin is right to say it hasn’t really percolated science or society’s view of it, quantum physicists apparently being something of a welcome exception. Thanks Ian – will get to it after a rather frantic weekend of music and family. Maybe pngarrison will be able to take a look sooner?